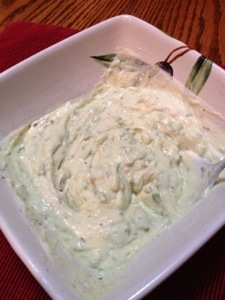 My supper easy to make yogurt sauce compliments and enhances the flavor of a variety of foods. Try it let me know what you think. Add all ingredients in a bowl. Using a fork, mash avocado into yogurt and mix through all ingredients until blended. 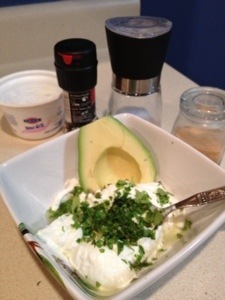 Mash in 1/2 Avocado into plain Greek yogurt. Mix all ingredients until well blended.